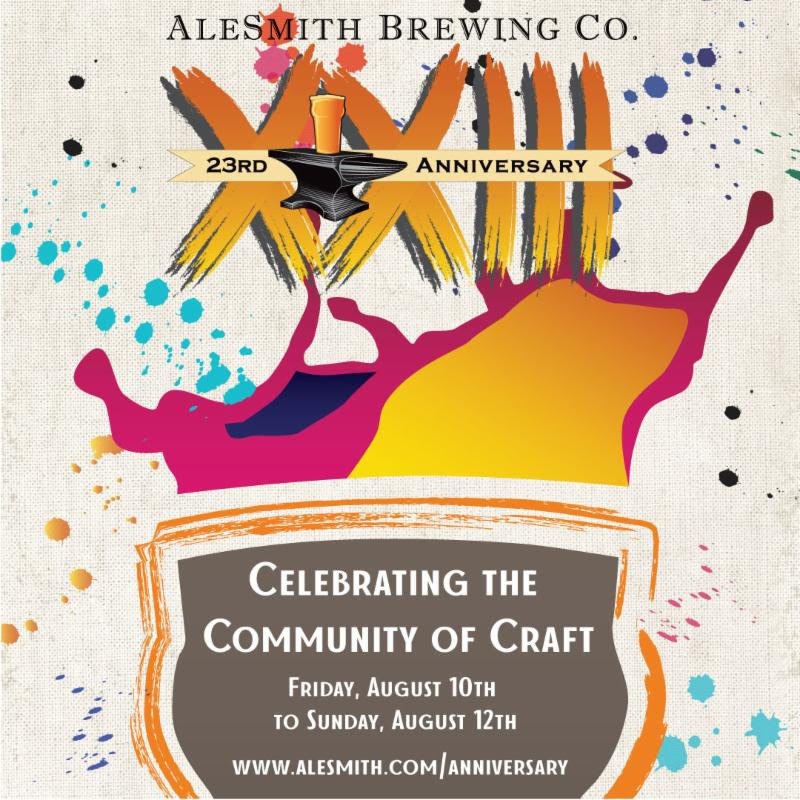 (SAN DIEGO, CA) – AleSmith Brewing Company will be honoring the local arts community during a full weekend of special events, in recognition of the brewery’s 23rd anniversary. 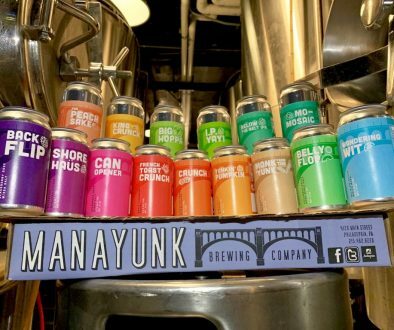 The three-day affair will take place from Friday, August 10th through Sunday, August 12th, featuring live music, live art installations, an art exhibition, and an extensive list of rare and specialty beers. The weekend coincides with the release of AleSmith’s next limited beer release, Celestial Dawn Speedway Stout with Modern Times Coffee. AleSmith Owner, Peter Zien, was inspired to host an art festival in his hometown of San Diego. “Artistic expression and collaboration have always been extremely important to me. I’m thrilled to be able to celebrate my inspiration with the local community and fans of AleSmith,” said Zien. An artist in his own right, Peter is a painter, cheesemaker, and bee keeper, in addition to the creator of award-winning craft beers that have brought AleSmith to the forefront of the brewing community. AleSmith will be opening its barrel cellar to create a unique setting for its Saturday lineup, which will showcase over 20 local artists from 12pm to 6pm. In collaboration with Creative Souls of the West Coast, guests will have the opportunity to view and purchase various forms of art, such as paintings, jewelry, and woodwork, along with some very special AleSmith beers, including a draft preview of two brand new releases, Barrel-Aged Old Numbskull, and Barrel-Aged Cinnamon Vanilla Speedway Stout. Musical performances by The Routine, The Frets, and The Tenders will fill the day. An assortment of edible fare will also be available, both from local food trucks, and from other purveyors, like Nola Rose Chocolates and Daniella’s Cupcakes. The AleSmith 23rd anniversary party will include two ticketed VIP sessions, one from 6pm to 8pm on Friday, August 10th, and another from 12pm to 2pm on Saturday, August 11th. Each session will offer pours of highly sought after AleSmith beers, such as the 2016 Velvet Echo Speedway Stout and 2014 Barrel-Aged Vietnamese Coffee Speedway Stout. VIP guests will receive exclusive access to the Mezzanine, entertainment by DJ 70 West, catered light snacks, a commemorative AleSmith anniversary taster glass, and (at an additional cost) rare vintage bottle service. 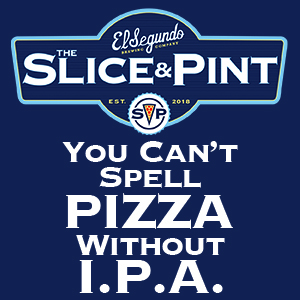 Friday night VIP guests will also be the first to enjoy draft pours and the availability to purchase 16oz. cans of AleSmith’s latest Speedway Stout varietal, this one made with Modern Times Coffee’s Celestial Dawn blend. 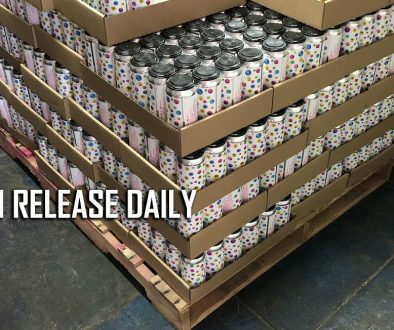 This beer will be officially released to the public on Saturday, August 11th. A special Modern Times Coffee cupping session will take place on Sunday, August 12th from 11:30am to 12:30pm for ticketed guests. Participants will cup a washed Guatemala Huehuetenango, a wet-hulled Sumatra, a pulped-natural Brazil, a natural-process Ethiopia, and Celestial Dawn. They will also have the rare opportunity to taste AleSmith’s original Speedway Stout alongside the newest varietal made with Modern Times Coffee Celestial Dawn, which adds notes of dark chocolate, dark fruit, toffee, and caramel. Guests may also sign up for special “Meet the Brewer” tours led by AleSmith Specialty Brewer, Collin Field. Tours will be ticketed with two options available: 1) $5 Tour – comes with a commemorative AleSmith 23rd Anniversary taster glass; 2) $15 Tour – comes with the 23rd Anniversary glass and a flight of four beers. Full details on the weekend’s festivities, as well as ticket information for the various special sessions, can be found at www.alesmith.com/anniversary. named Small Brewing Company of the Year at the Great American Beer Festival in 2008. AleSmith is celebrating its 23rd year in business and occupies a 109,942 square-foot facility with a state-of- the-art brewery. AleSmith’s range of acclaimed beers, which includes Speedway Stout, IPA, Nut Brown Ale and San Diego Pale Ale .394, is distributed in 28 U.S. states and 8 countries. Visit us at www.alesmith.com and on Facebook, Twitter, and Instagram (@AleSmithBrewing).